Sota Mar 21 2017 7:16 pm I'm hoping next time Kim Yu Seok will be partnered with Shin Eun Kyung. They're a cute and compatible couple I suppose! It's been twice that they became lovers in a series but never been together in the end! How frustrating I shipped them hard hahaha. I'm hoping for a new show with them together again, they both look younger than their real age and has no signs of it. they're cute and I love them both! Please make my wish come true! amin Oct 31 2016 3:27 pm Hello There 9 gods upon you, and greetings all human beings upon you " I hope that of now on, in acting. See you in powerful roles. " Jung Kyu Dec 20 2015 11:44 pm I hope you'll have more projects in the future! I really really admire you Mr. Kim! You can do almost everything and you put your soul in every of your roles! I hope I can see you someday! Stay strong, cute and handsome hyung! FIGHTING! TP Apr 21 2015 2:36 pm I can't believe that you're 48. You are so so young and good looking. Truly enjoy watching you in every drama. twinkletwinklefan Jan 28 2014 7:51 am Love this actor Kim Yu-Seok, looking forward to all his future dramas. If anyone know any info. about him, please share. Not much news about him around the net. 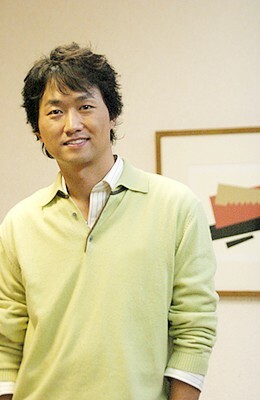 Love him in Gye Beak, Dong Yi, and The King's Dream. twinkletwinklefan Jan 28 2014 4:32 am I love this Kim Yu Seok too, but so little info. about him on net. Love him since Gye Beak, and Dong Yi. He was sooo funny in Neighbor's Wife, LOL! Anna Laker is the girl who in Smile Again drama, I think they means he should married her in the drama. Anyways, if anyone know anything about t his actor, please share. Love him, he is the best! amin Jul 16 2013 9:11 am Best actor Dong Yi and infinitely thanks and greetings to you, you were a wonderful! sam May 10 2013 12:32 am his acting is very nice. i like his acting. specially dong yi drama. devourbyhatred Nov 13 2011 7:57 am who is anna laker u guys talking about? I watched dong yi first and then some time later i watched white lies. I don't recognise him by his face in white lies that is because he has mouthache n beard n wearing that round hat all the time in dong yi. What makes me recognise him was his voice. I heard his voice in white lies and then i remembered someone from dong yi. So i checked it out on website to find out that they are the same person. Dao ge Sep 24 2011 10:23 am You remind me of a very young Jimmy Page, the guitarist from the famous 1960's and 1970's band, "Led Zeppelin"
nelly Kirchner Apr 12 2011 5:57 pm You are great actor. I hope you will marry Anna Laker!!! Does anybody know what is the name of the drama where Kim You Seok sings Rose Garden. He was singing and playing acustic guitar. He did it very good. Elena Ene, Bucharest, Romania Mar 20 2011 11:07 am I like your acting in Dong Yi. You are a godd actor. Keeping going. p Mar 02 2011 8:22 am You are very funny in Smile Donghae. I hope you end up with Anna Laker. To be honest I didn't like your character in White Lies, but I think Piljae character made you kind man. Gayatri Feb 10 2011 1:28 pm A very handsome & gifted actor. Hope he married Anna Laker in the drama. Soheila Dec 18 2010 11:59 pm I really like your role in white lies. you look so handsome and smart. love you.